Does the thought of dandelion seeds flying about make you nervous? For nearly 10 million Canadians, spring can be an uncomfortable time due to seasonal allergies. It may sound like a minor inconvenience to those who don’t suffer, but a constant runny nose and inflamed sinuses can not only be an around-the-clock nuisance, but a bad case can be debilitating to professional and personal lives. 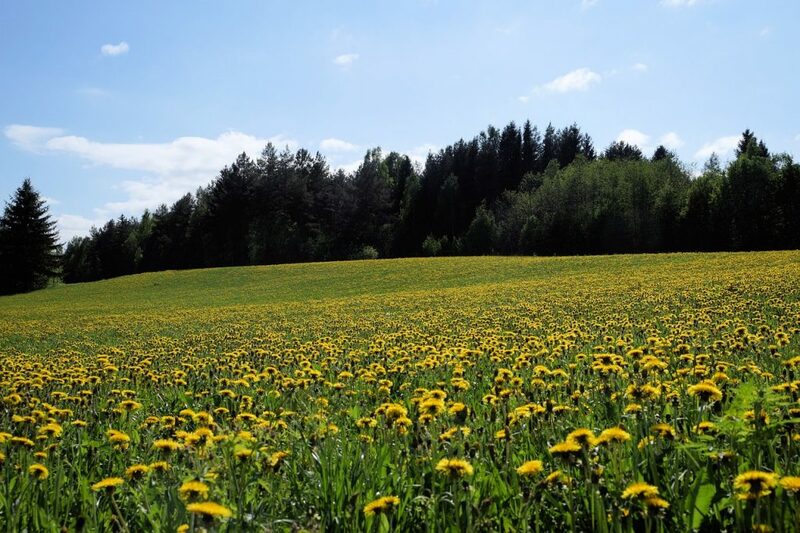 Seasonal allergies, also called allergic rhinitis or hay fever, typically start around the beginning of spring, when pollen granules from a variety of trees fill the air in April and May. Grass pollen takes its turn in June and July, only to be followed by ragweed in August. Essentially, those who suffer severe cases of seasonal allergies never get a break in the warmer months. Fortunately, there are natural approaches to alleviating allergy symptoms. If you’re one of the many Canadians who face this problem every year, consider adding one of these remedies to your healthy regimen. Nettle is an ancient herb that grows in the wild in temperate regions across North America and Europe. While nettle is used for a range of health and nutrition issues, the stinging nettle variant has been shown to have seasonal allergy-relieving properties. Nettle extract can work as an antihistamine to reduce sneezing, coughing and watery eyes. If these recurring symptoms have already begun, nettle can help to relieve congestion. Results of a study in the peer-reviewed Planta Medica on patients with seasonal allergies showed that 600mg of freeze-dried nettle leaf daily helped to relieve symptoms. 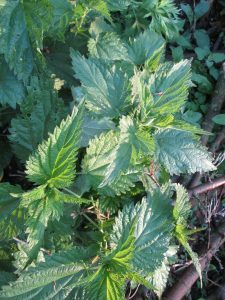 About half of participants reported that nettle was more effective for them than over-the-counter medications. You can use freeze-dried stinging nettle to make a symptom-relieving tea, or find it in the form of juices, tinctures and supplements. Butterbur, a member of the sunflower family, can be found growing in wet, marshy grounds across Europe, Asia and North America. This plant has historically been used to treat fever, cough, asthma and skin wounds. Current studies show that butterbur leaf supplements can also decrease the symptoms of seasonal allergies such as swollen nasal membranes and congestion. Research published in journals, including The BMJ, shows that butterbur supplementation reduced symptoms just as well as a conventional over-the-counter antihistamine medication, without side effects such as drowsiness, fatigue or palpitations. 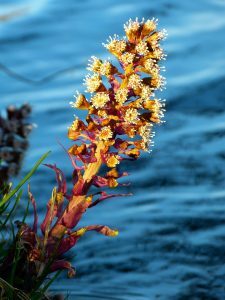 In one large study published in Advances in Therapy, 90% of participants who took butterbur reported experiencing a decrease in their seasonal-allergy symptoms. Improperly processed butterbur can contain potentially damaging compounds to the liver. When choosing a supplement, it’s important to purchase from a reliable source and to check for the eight-digit Natural Product Number (NPN), which verifies that the product has been reviewed by Health Canada and approved to be safe, effective and of high-quality. 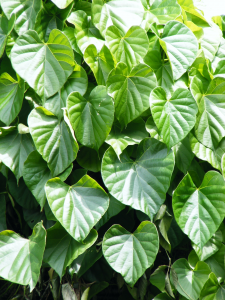 Known by several names, such as giloy or heart-leaved moonseed, guduchi is a large, deciduous climbing shrub native to tropical areas in South Asia such as India and Sri Lanka. It is used in Ayurvedic medicine. Guduchi contains a range of health benefits, from helping to boost the immune system to balancing blood sugar levels. When taken in a supplement or powder form, guduchi can also relieve the symptoms of seasonal allergies: In a study published in The Journal of Ethnopharmacology, about three-quarters of participants found that supplementing with guduchi relieved sneezing, nasal discharge, stuffiness and itchiness. It has also been shown to improve the activity of white blood cells, helping them to identify and consume offending allergens while reducing bronchospasms, which cause breathing difficulties. Seasonal allergies don’t have to hold you back from the great outdoors. Visit your local CHFA Member health food store (head to chfa.ca to find your nearest one) for tips to keep those seasonal-allergy symptoms at bay. Remember to speak with your healthcare practitioner about alternative options for treating seasonal allergies.